The project is coming along as we move into the painting stage. We were hoping to show you the flooring but it’s carefully protected by our crew during painting. Hopefully we’ll be able to get a peak next week. 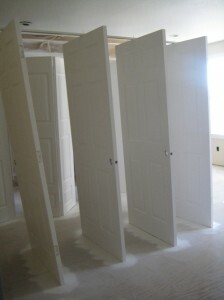 The painters put all the doors in one room while they work on them. 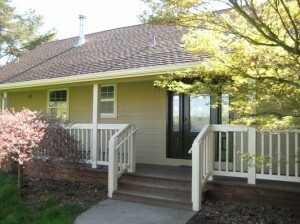 We call this our “Gallery of Doors.” When we do a whole-house remodel like this one everything is done on a grand scale. 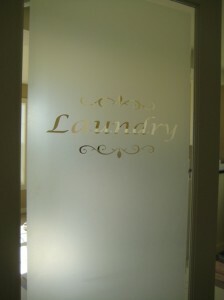 A custom etched glass laundry door is painted and awaits hanging. 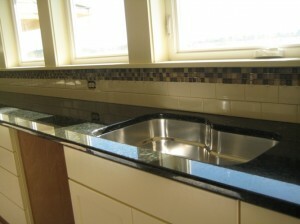 New granite slab countertops look great in the kitchen. 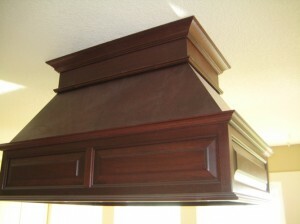 This hood was custom built by our cabinet maker. It’s a nice accent for the kitchen. The painters are doing a beautiful job. Once they are done we’ll be able to pull up the floor protection. 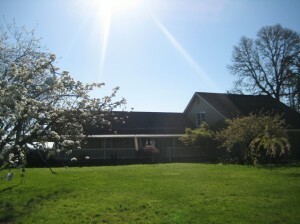 Carpet will be installed upstairs and in the living room and master suite. 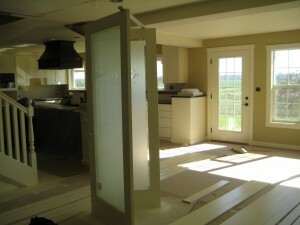 After the carpet is in we’ll be finishing up the base trim and hanging all the doors.